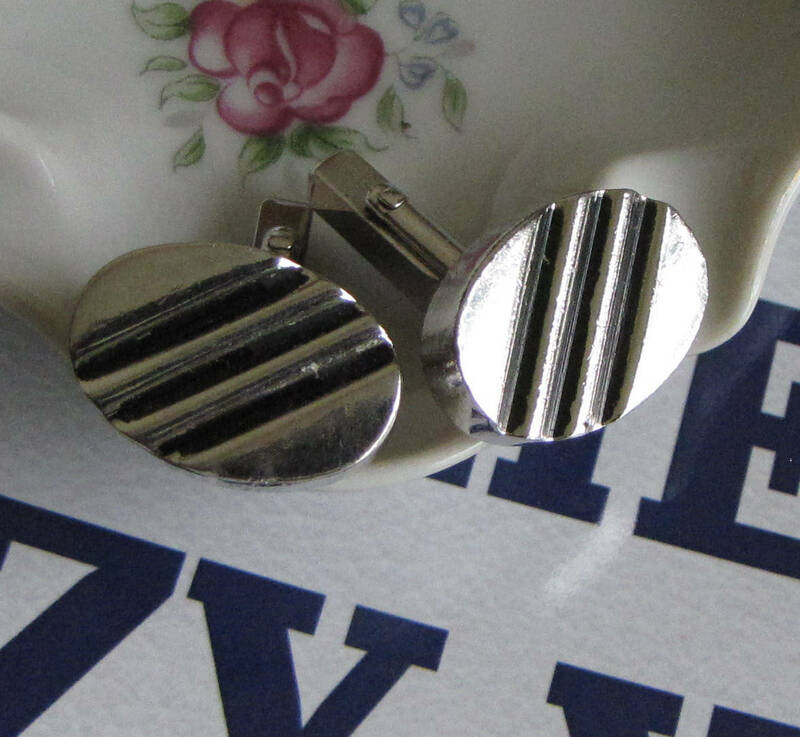 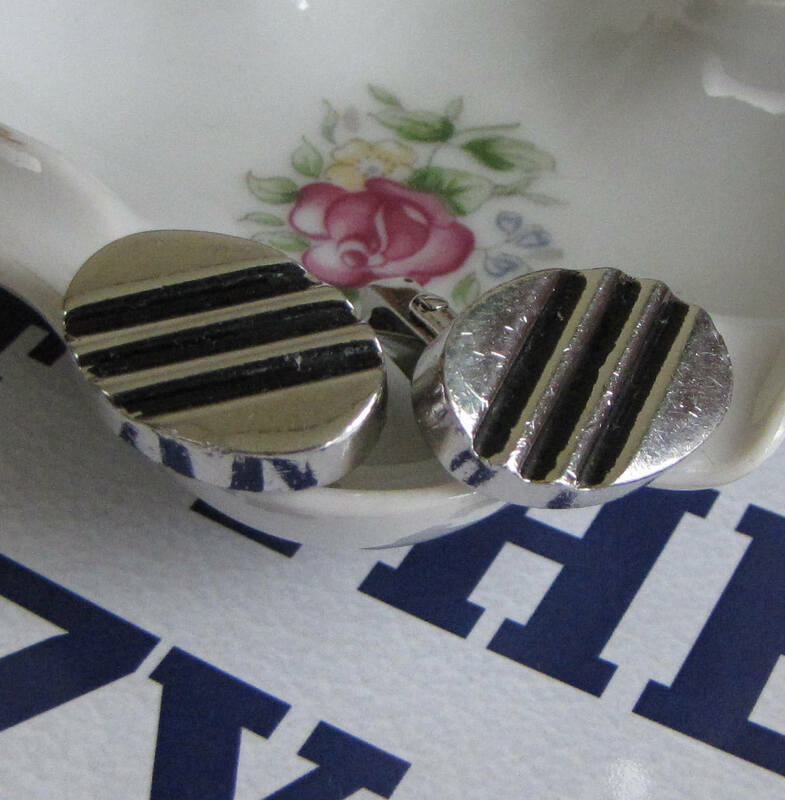 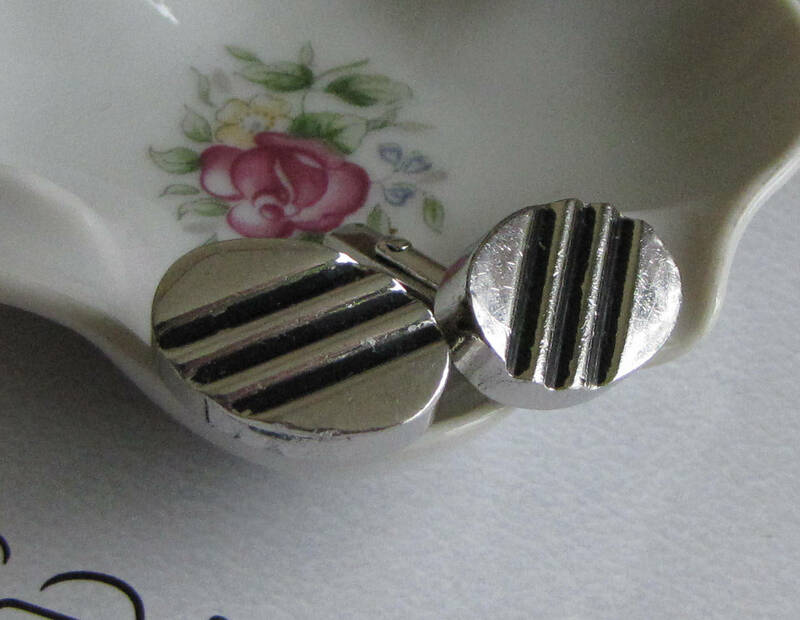 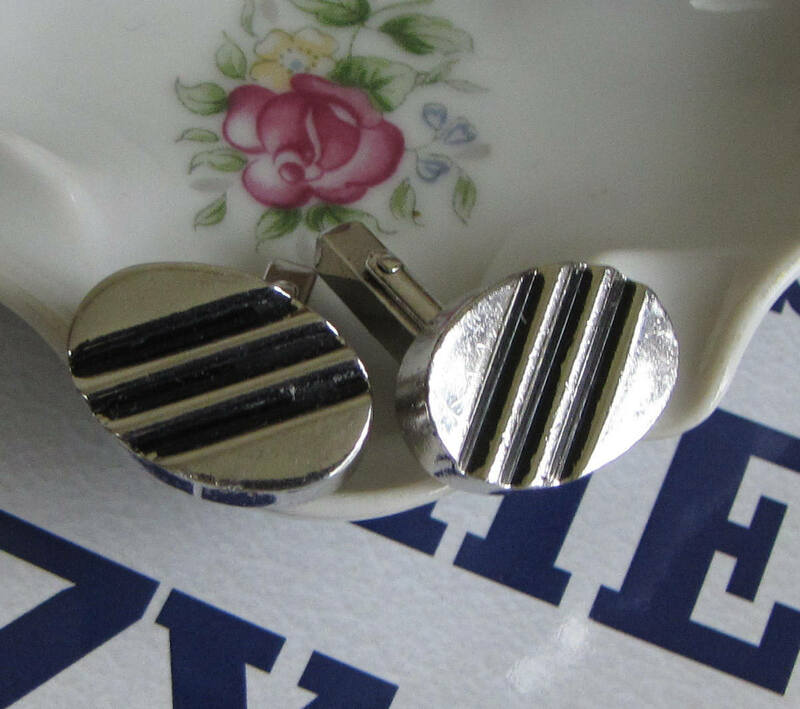 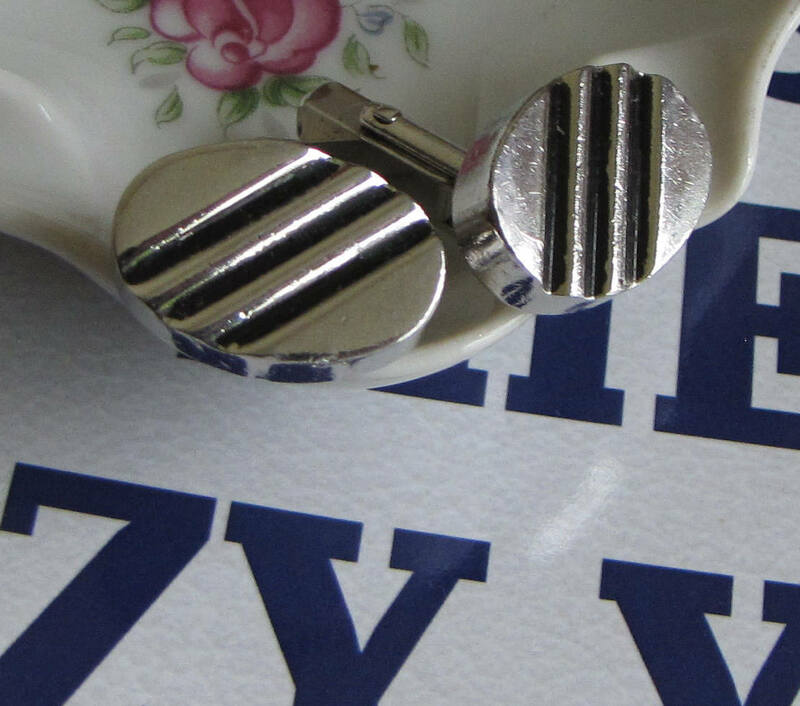 A set of silver-toned Swank cufflinks that have 3 diagonal black lines through it. 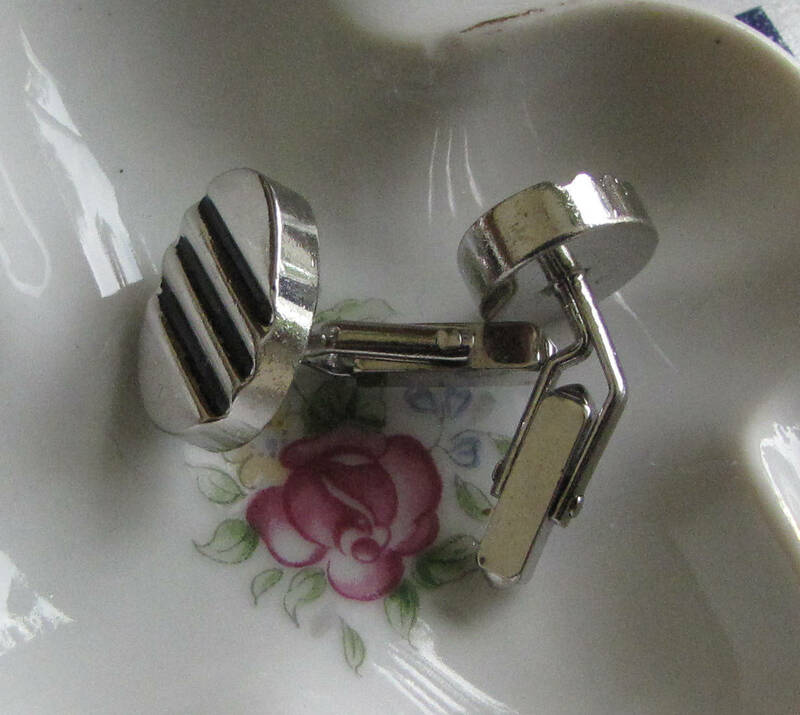 The pair is in very good vintage condition and in working order. 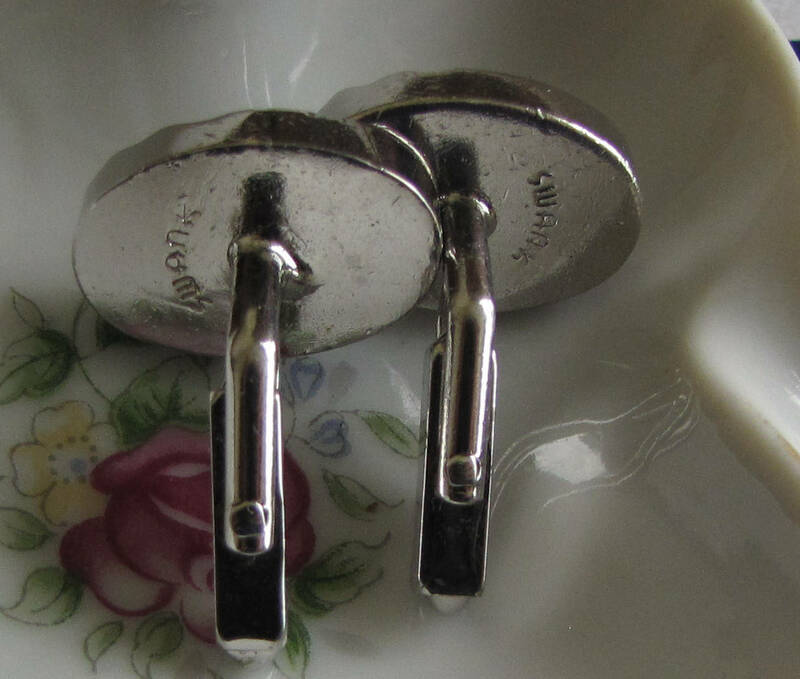 The set has the bent/angled clasp and have some wear and marks from use. 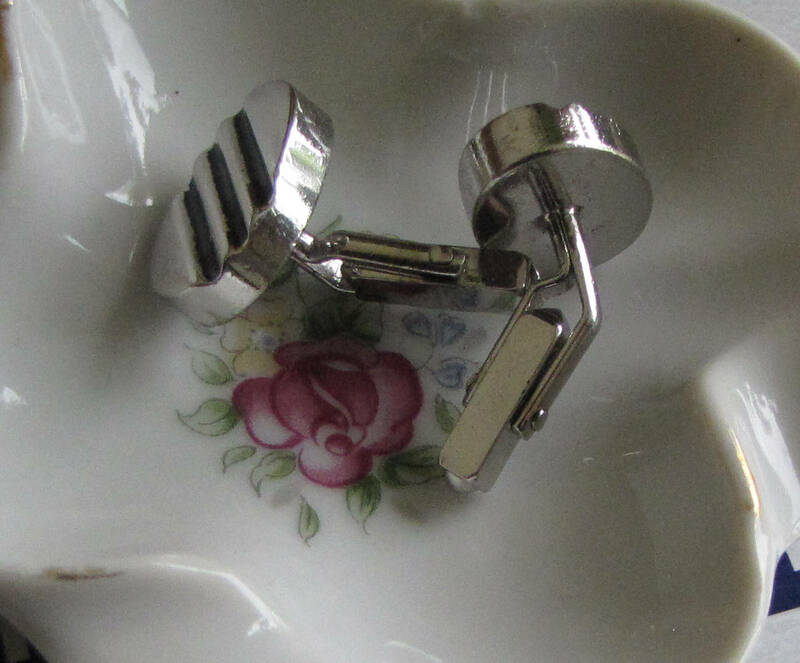 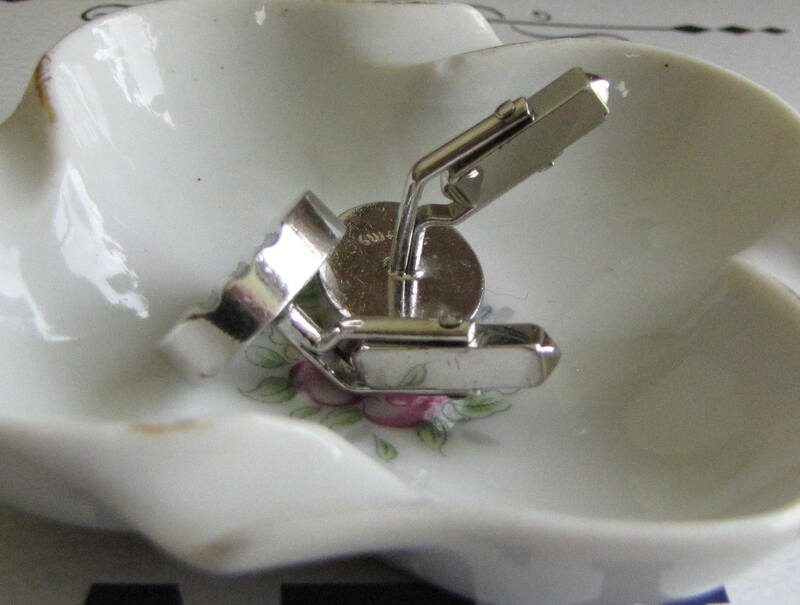 The cuff links measure .75 of an inch by .5 inch. 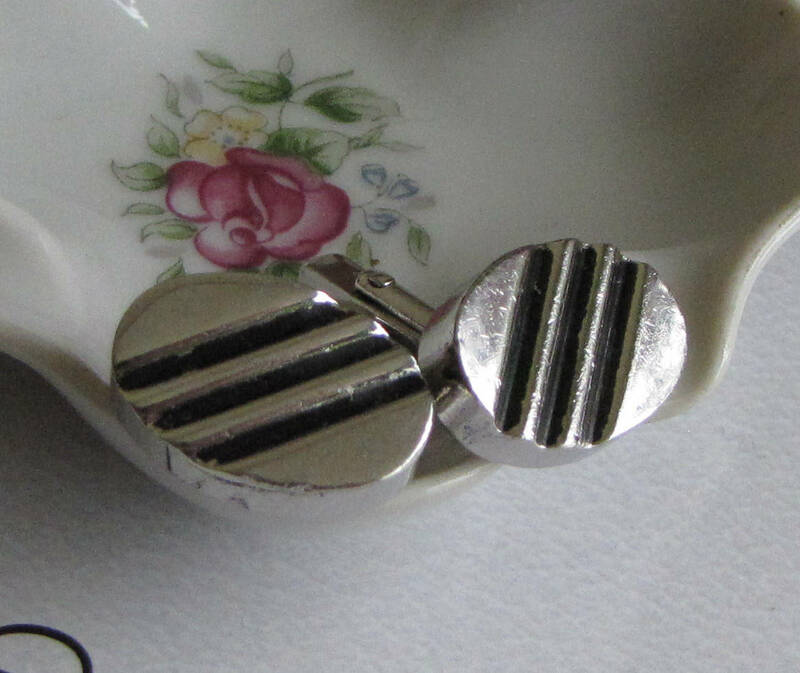 They are .75 of an inch long.